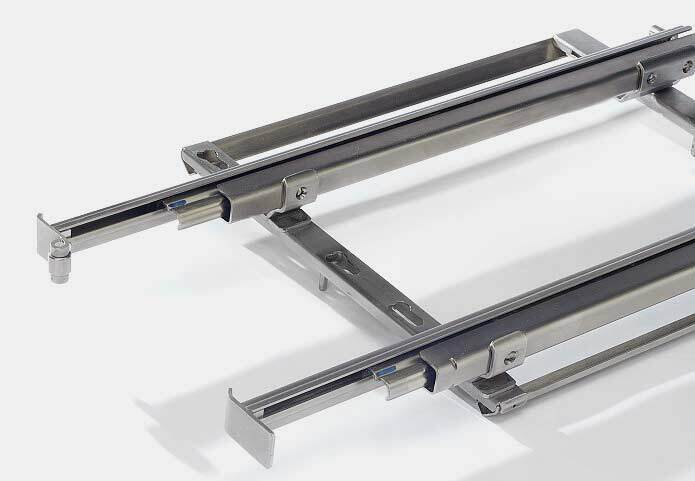 APPARATEBAU Italy: manufacturer, supplier of kinematics, hinges, pull outs. 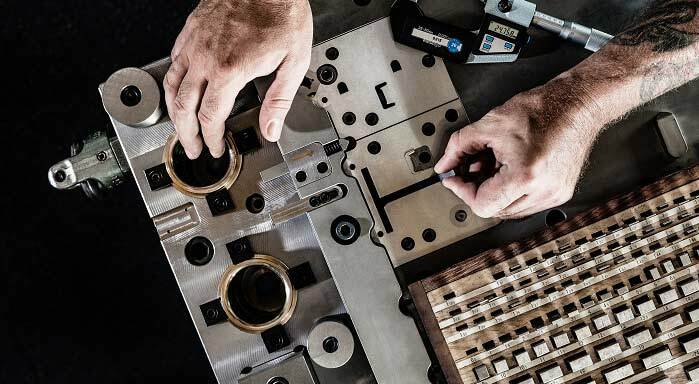 At APPARATEBAU we pursue the vision of creating new moulded parts & components made of metal with the highest standards of design & precision and to manufacture them in series. 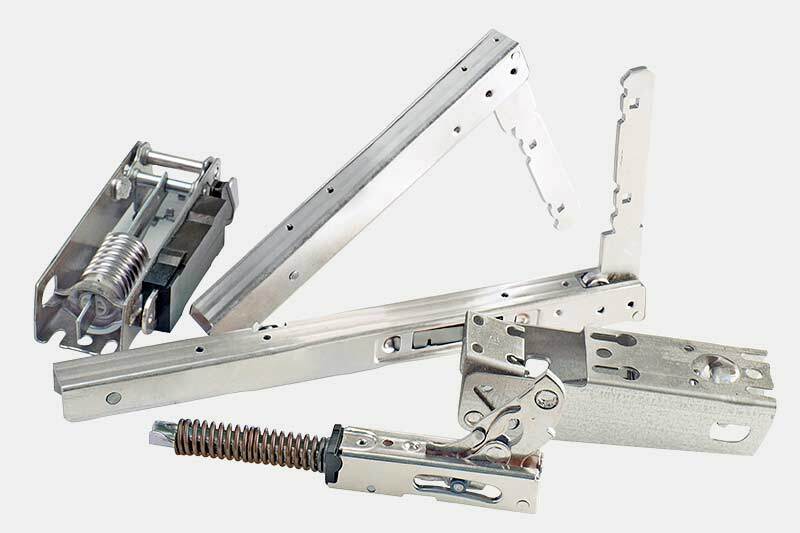 We follow the trend towards the development & manufacture of optimized kinematics, such as our hinges. 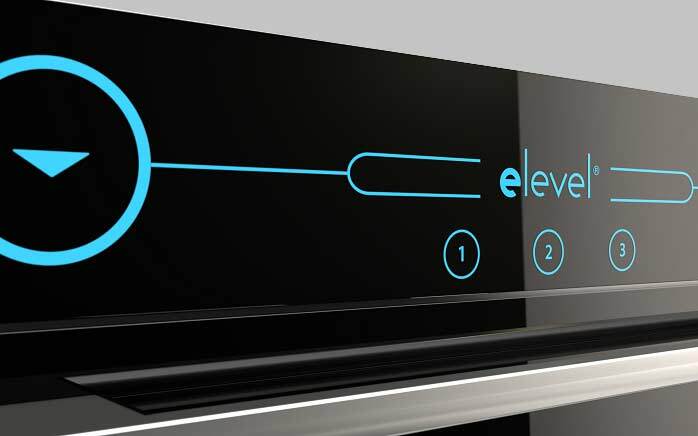 APPARATEBAU develops and manufactures rail systems for the household appliance industry. 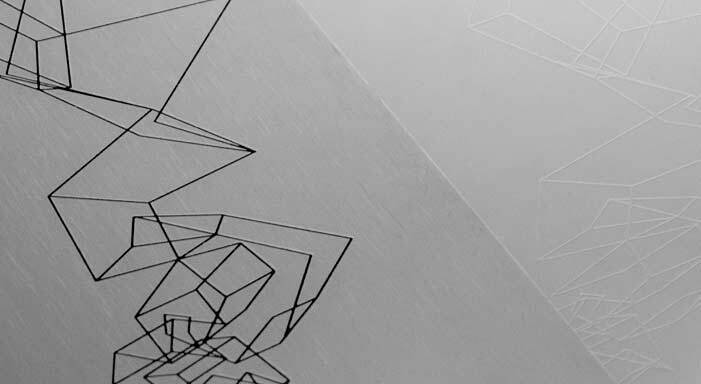 APPARATEBAU produces decorative elements and aesthetic assemblies. APPARATEBAU is a system supplier of security solutions in the construction industry. At Apparatebau, we pursue the vision of making everyday household life easier for your customers. 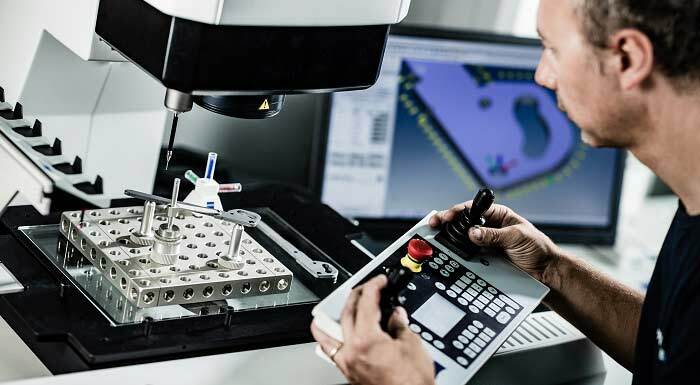 APPARATEBAU is an important supplier of mechanical components and assemblies for various industries. As a medium-sized company, we are specialized in the development and manufacture of hinges, pull-out rails and stainless steel covers, especially for household applications. Numerous innovations, special developments and user-oriented solutions have made us one of the leading companies in a wide variety of industries. "Creating something new is pure motivation for me." "The aim is to find the best technical solution for the customer." "It is very important to us that people feel at home with us." "A good education is the basis for sustainable success!" "From the initial idea to series production: wonderful!" "I really appreciate the pleasant working atmosphere at APPARATEBAU." "Quality means making things right and right from the start!" APPARATEBAU is part of the GRONBACH-network, a cooperative partnership made up of traditional and value-oriented family companies. The high degree of specialisation in our sites allows us to cover the entire supply chain, from single components to full development packages.